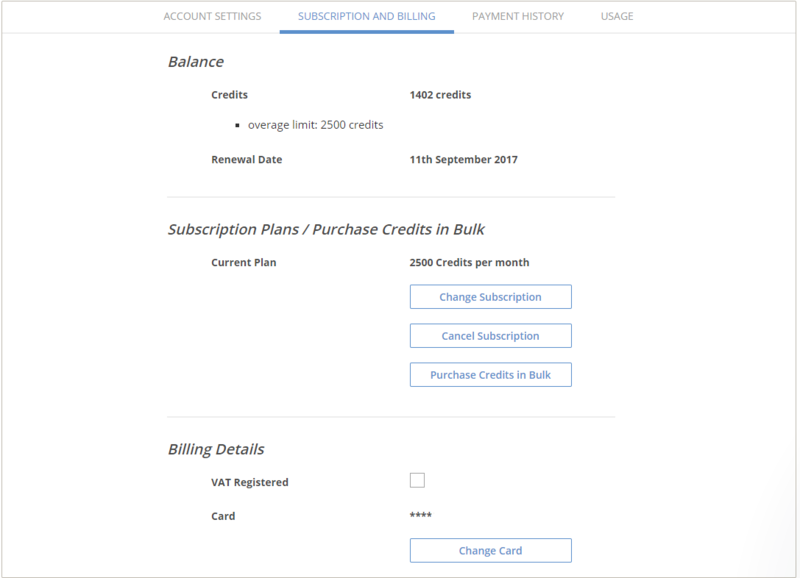 As well as purchasing a subscription, you also have the option to purchase credits in bulk. This is a one off purchase of credits so you can get some extra credits without affecting your subscription. Or, without a subscription, it's a simple one off purchase. Then, just select your country and the number of credits you require (the currency is automatic). Enter your card details and click 'Add' at the bottom. Please note that the cost of purchasing credits in bulk may be slightly more expensive per credit than purchasing a subscription. Once the purchase is added, the credits are automatically on your account with a minute or two.